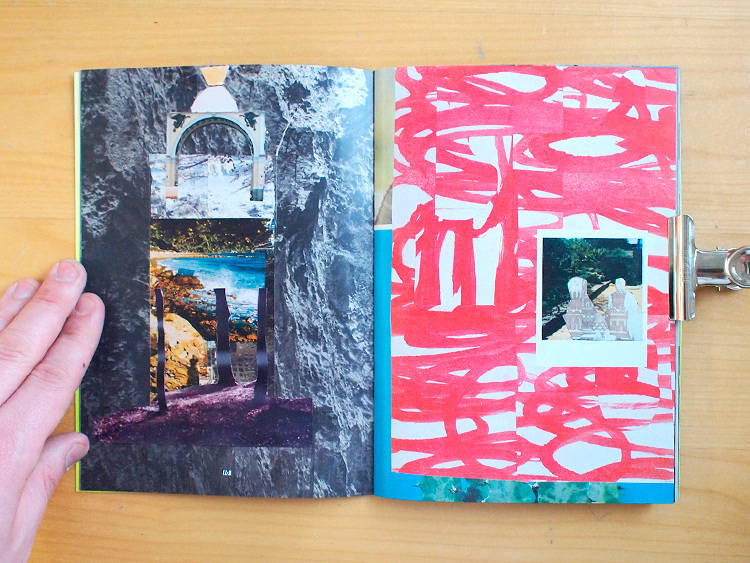 This refreshingly vibrant zine one really caught us off guard. 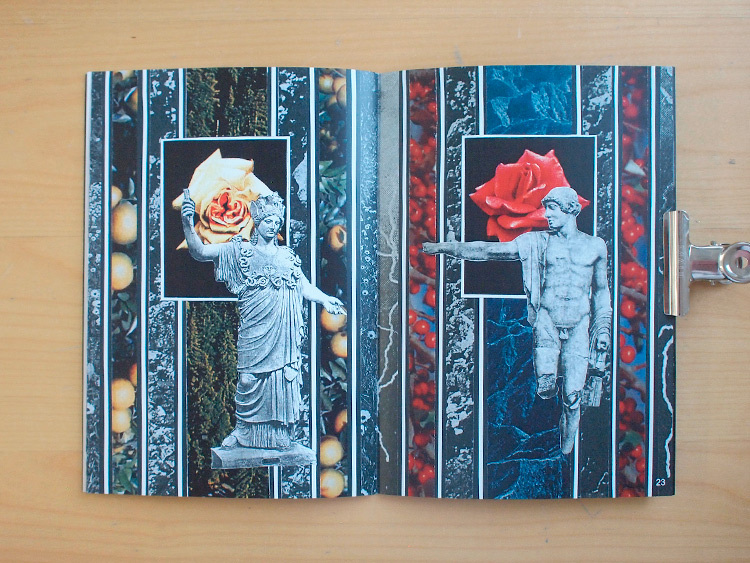 Input Error’s Oblique Interactions is a delicately edited and curated, full colour publication that serves you 32 pages filled with amazing collages by Ewan Aparicio, Lydia Lazarus, noirgraph, øjeRum, Richard Rupenus, Keinwyn Shuttleworth. Certain mesmerisingly chaotic feeling, not sure if it’s the vibrant colour scenery colours or the editing styles or what, goes thru the each page and spread and keeps the whole interesting. But like said, this is great. 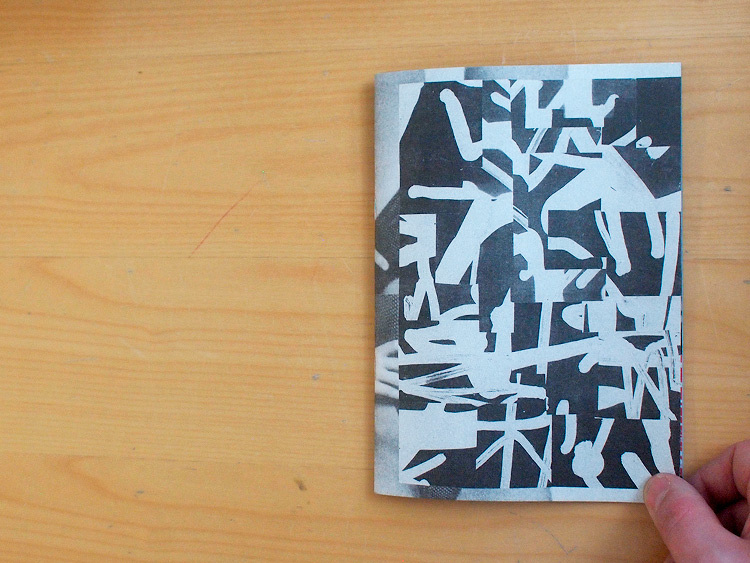 A5 format, 32 pages, released in November 2016. 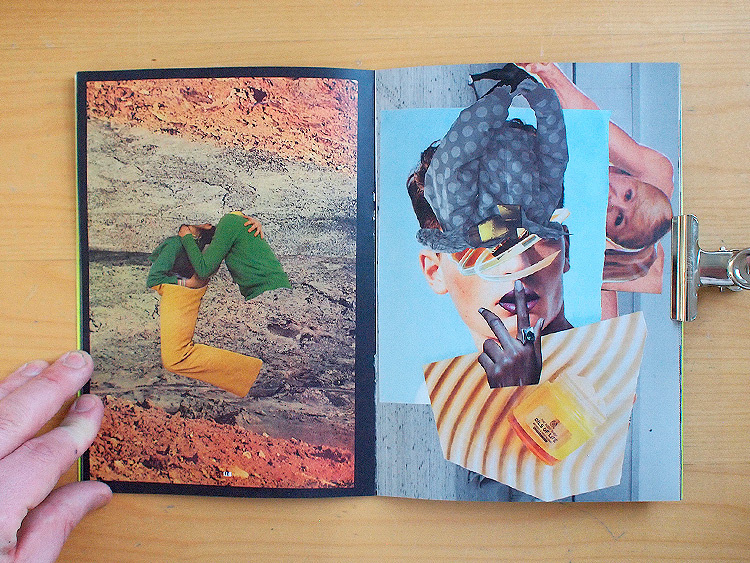 Curated and edited by Ewan Aparicio. 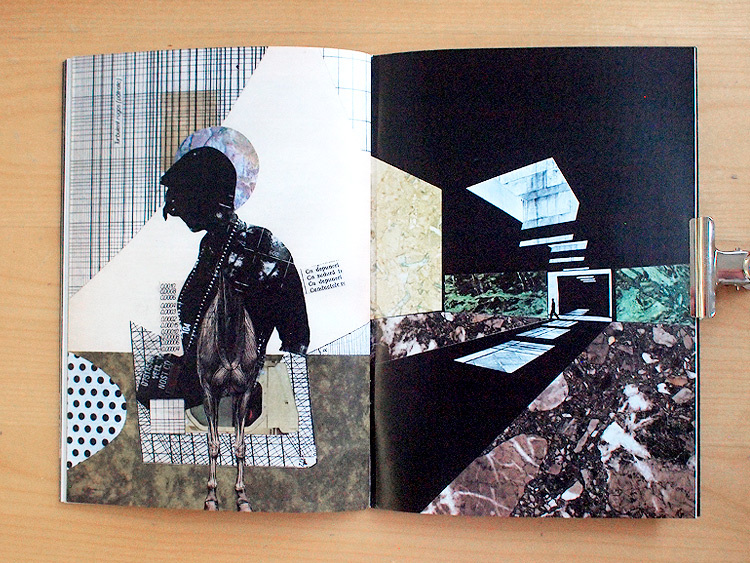 Hello darkness, my friend… Input Error’s Nothing/Forever is a latest issue of a ongoing black and white collage series featuring various international collage artists. 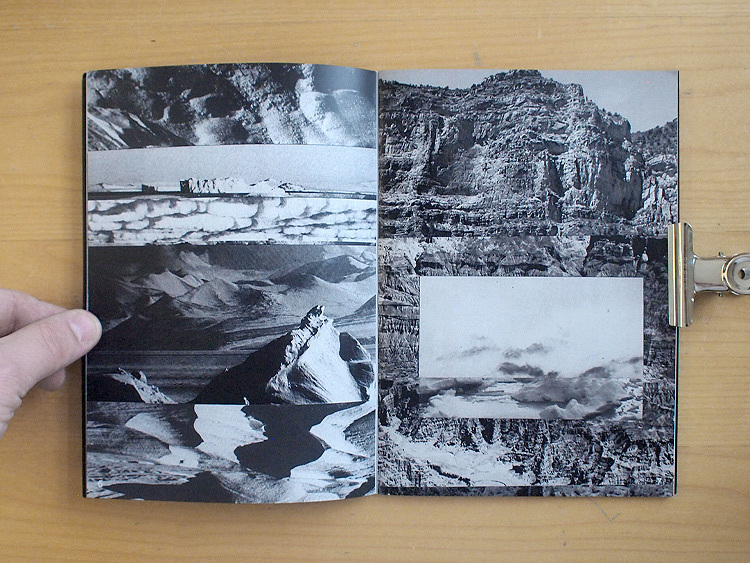 Where the previous reviewed Oblique Interactions by the same label blasts hellish colour storm upon reading, the issue 4 of Nothing/Forever takes you on a intriguing dark journey thru its pages. 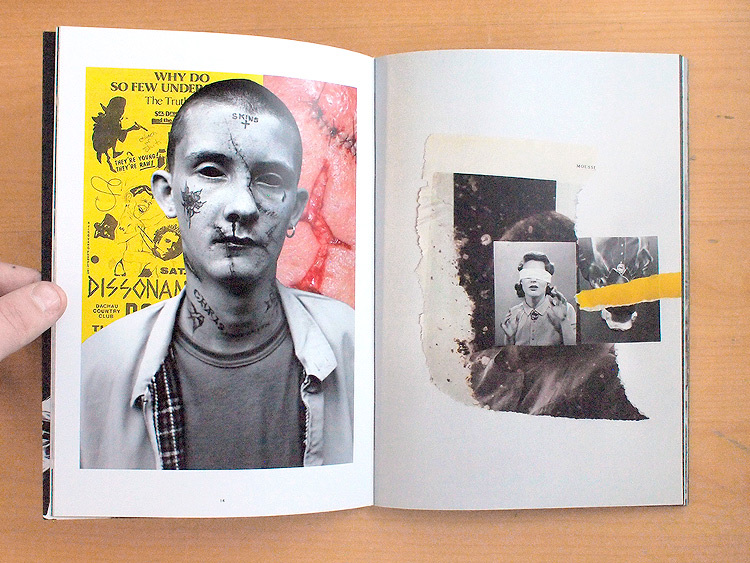 All the participating artists, Ewan Aparicio, Niels Geybels , Nathan Ivanco , Lydia Lazarus, Gaz Myles, Matthew Reis, P. van Trigt and Julia Volonts, have created 32 gloomy pages full of an contrast, abstract tales. Perfect match for dark winter evenings..
And the outcome leaves nobody cold. 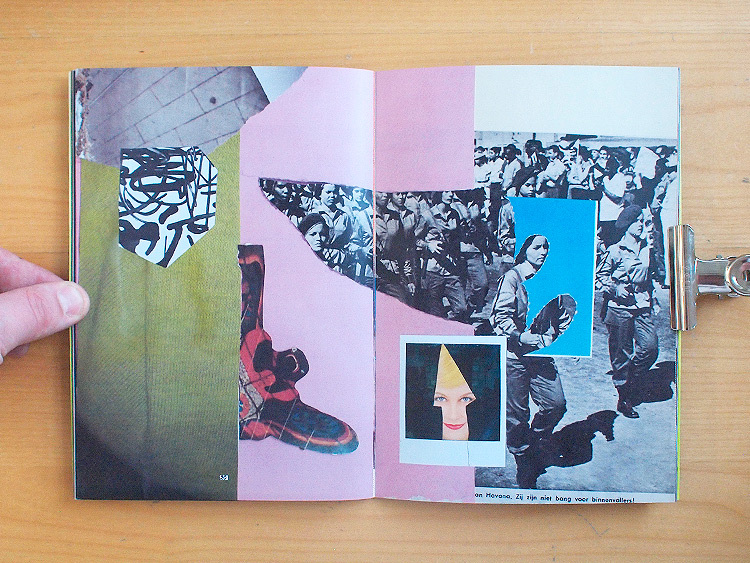 This thick first issue (Black) contains impressive lineup of 56 collagists around the world with some already familiar names and then some completely new interesting acquaintances. 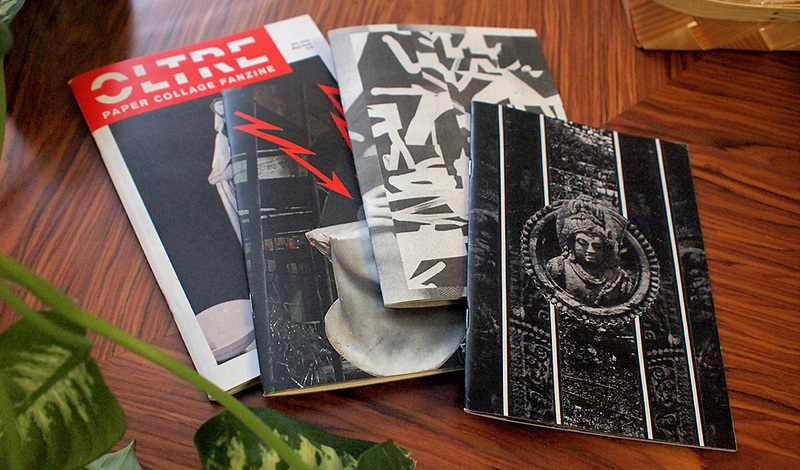 What I love most about these international open call based zines, is that you always find new artists that makes your jaws drop and then the versatile line of styles and how they all melt together thru good edition and curating. 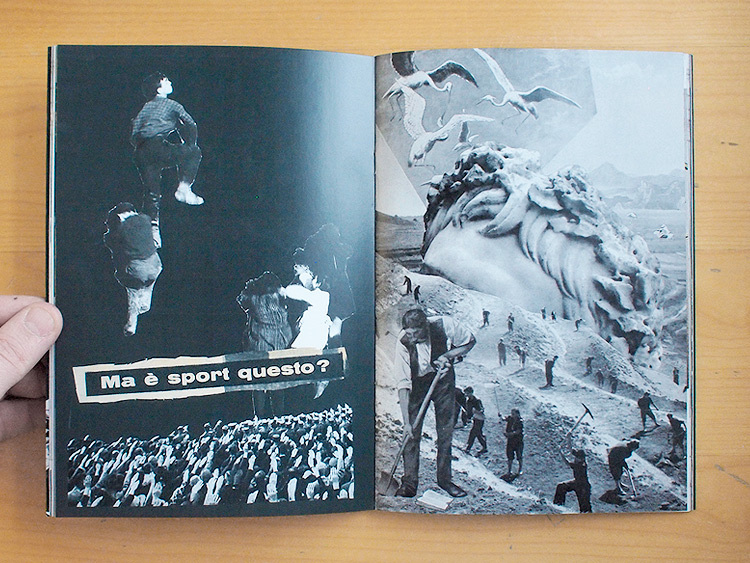 With the each beautiful page in this issue, Oltre sets its level very high – Can’t wait the next issue! 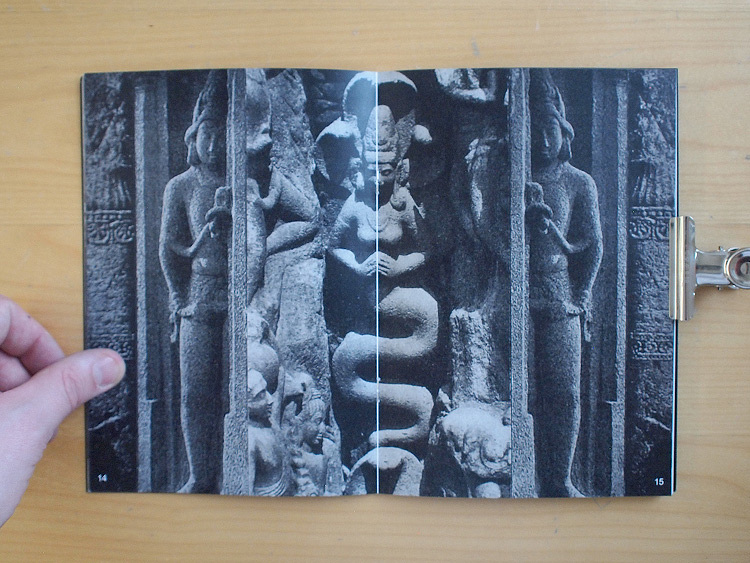 58 pages, limited to 200 copies, released in December 2016. 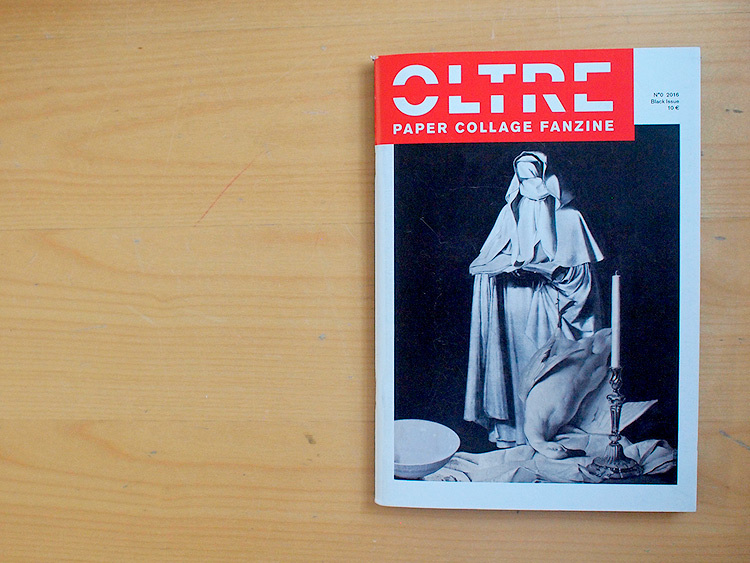 Curated and edited by Oltre Collage Collective. 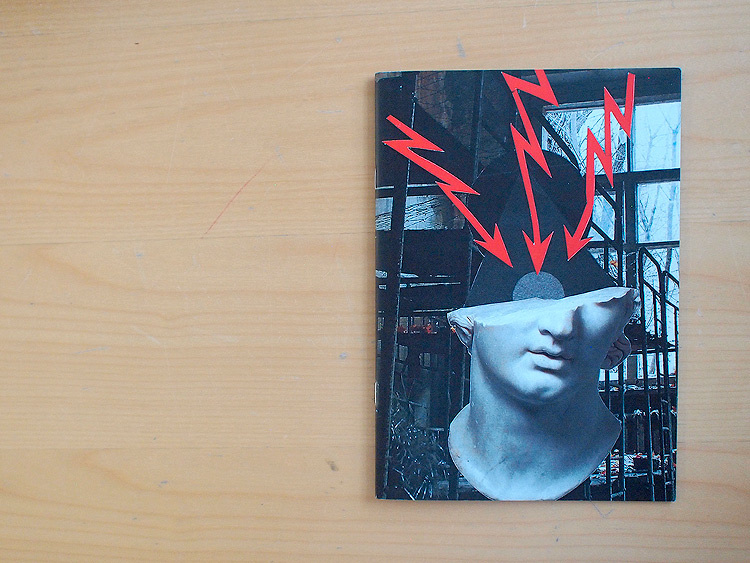 Another amazing issue of GlueHeads dropped into our mailbox and it keeps rocking on the same level as previously. 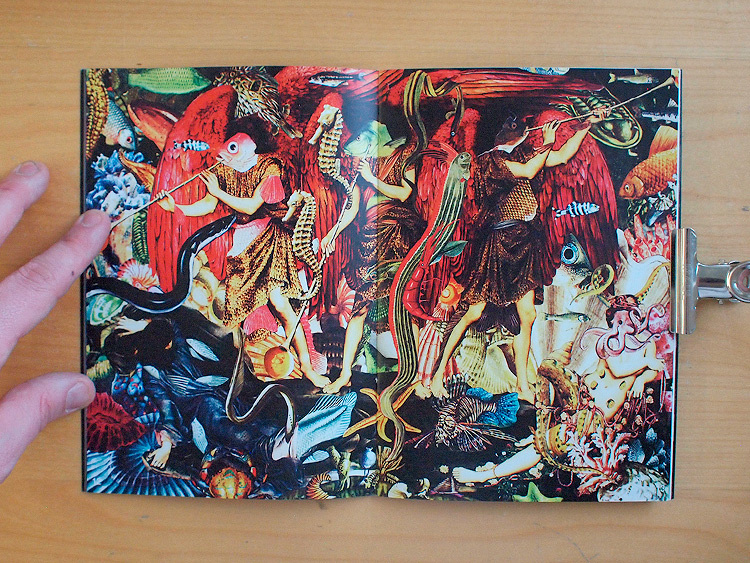 The insanely wild, vol 04 contains 34 pages of familiarly talented set of collage art by artists Lula Valleta, Alice Morey, Lara Minerva, Damien Tran, Yoh Nagao, Fabian Kretz, Anelor Robin. 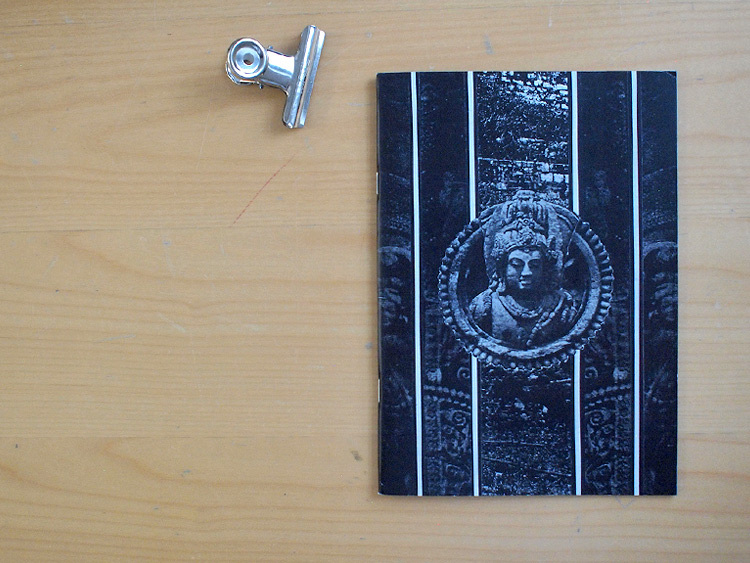 A5 format, 34 pages, limited to 50 copies, released in January 2016.